First dark night of Asadh lunar calendar month is the day of Entrance of Spiritual Rain Retreat of all Buddhists. The departure conveys the Sangha Day of Buddhism in which this July 23, 2013, the Sangha will unionize to stay in one place together for the period of 3 months. Lord Buddha allowed these 3 months hibernation in the purposes to: refraining from traveling to long distance as roads are so muddy, participating in a vow of one place together, and strictly learn and practice the Dhamma. The Sangha in general refers to Bhikkhu monks, Bhikkhuni monks, Upasaka lay men and Upasika lay women. But the strict Retreat Vow has been traditionally fully practiced by Bhikkhu monks and Samanera novices nowadays. 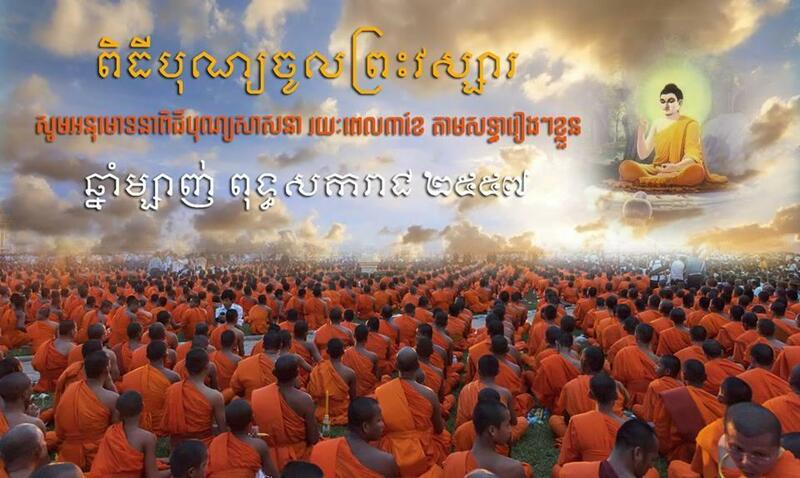 Cambodian Buddhists countrywide will make great merits during this important Vasa Retreat Entrance while the whole country is omnipresently visible of election campaign. As the message must be passed, the non-violence, tolerance and loving-kindness of the Buddha’s teaching, must be endorsed by all campaigners and political activists. They must go to cast their vote on the July 28, 2013 simultaneously without infusing fear, or being feared, and cast the ballot with personal strong will and conscience. At the present, there are about 4000 monasteries residing by more than 60,000 Buddhist monks. If the rival parties are smart enough to draw votes from those monks who go to the polling station, they can sum up to their seats. 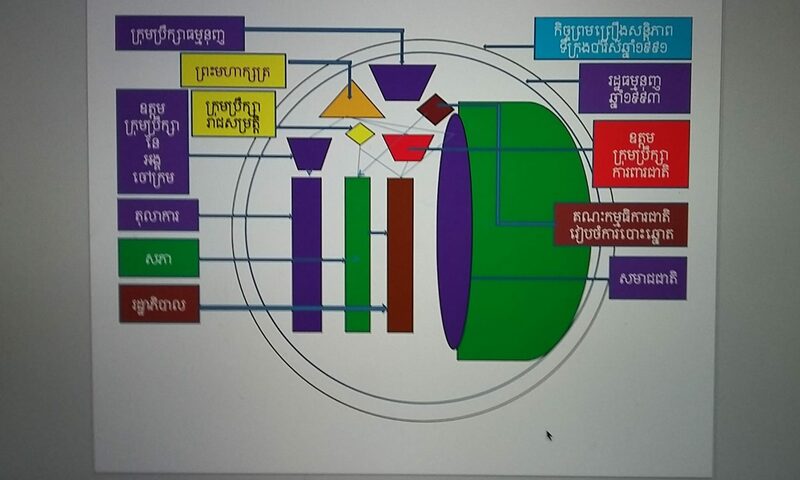 And Cambodia is known as Buddhist country with the Buddhist population of more than 96%; if the political parties use their Buddhist context on campaigning, they might win the heart of the major voters to increase their seats as well as to celebrate the election at the end. Happy Asadh Bochea Day for all Cambodians!